Dedicated professionals backed by the finest equipment and facilities available to deliver a consistently high level of service! 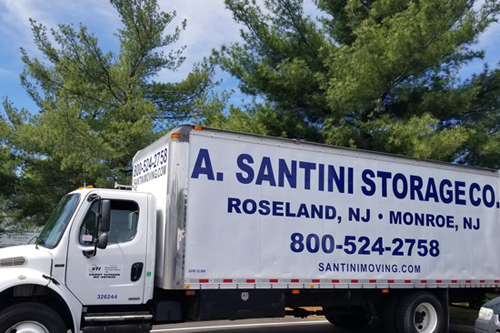 A. Santini Moving & Storage Company has stepped into the next generation of warehousing leaving the competition behind. With endless paper and painfully slow response times, there is a much better solution for clients who have storage needs. Santini presents a viable solution for increased response times and quick delivery of goods. This helps achieve customer goals and productivity while mitigating errors that can be made through traditional warehousing. Santini is looking to benefit the customer in every way possible. This helps eliminate the stress of holding onto goods long term or short. Using the lastest technology, Santini houses all of its goods based on an individual barcode assigned and labeled upon entry into the facility. At any time, a customer can have an accurate assessment of their total storage. Whether there is need for transit of goods or a current inventory, our web-based app can determine the exact position where the item is. A. Santini Moving & Storage’s services don’t just stop at moving your goods from point A to point B. We understand that after the move is done there is still work to be done in order to turn over a clean space to your landlord or a new buyer. Building clean out includes the selling or disposal of used or unwanted furniture, we will also assist in leaving the space in broom swept condition so the facility can be turned over to the landlord. In conjunction with our Green Disposal services we are equipped to handle your needs. In today’s world, everyone needs to do their part to keep our Environment healthy and clean. This philosophy is upheld at A. Santini Moving & Storage in the services that we offer. Electronic waste, or e-waste, is a growing challenge as technology is now the critical piece in the execution of a global economy. Computers, monitors, printers, and other electronics can contain harmful chemicals, toxins, and elements that if not disposed of properly, will pollute our earth by contaminating drinking water and ground soil. While your company’s e-waste has reached its end-of-life in usefulness, it may be valuable in other markets. Recycling of your e-waste can help recoup the cost of your information technology expense. Often e-waste contains heavy metals and other elements that are still valuable even post-consumer. These can be removed from the e-waste and sold to commercial recyclers to reclaim cost. A. Santini Moving & Storage offers you a one stop shopping solution for proper disposal of all your electronic waste in accordance with all applicable state and local laws. 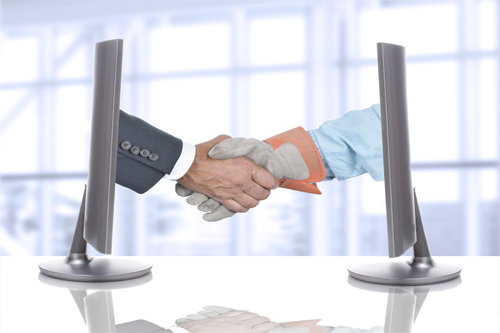 We can provide you with the most cost effective solution that is customized to your particular needs. Santini will partner, through STI (Specialized Transport Incorporated), with national companies that specialize in the de-commissioning and disposal of e-waste. 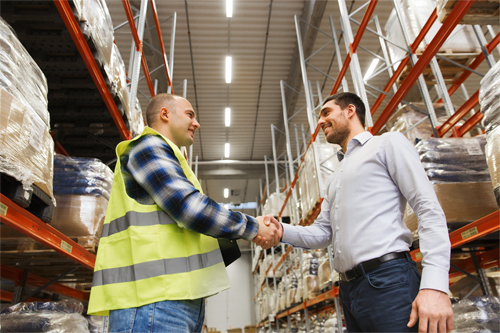 If your company needs a comprehensive solution to meet the needs of your complex product distribution requirements, then let A. Santini Moving & Storage Co. leverage its decades of experience and partnerships with Specialized Transportation Incorporated to provide you with an efficient, cost effective, and streamlined solution. A. Santini Moving & Storage will utilize our large warehouses to store your product in a safe, secure, and clean environment. Santini will then handle the “heavy lifting” for you by providing Order, Delivery, Cost, and Quality Fulfillment services with our trained and qualified staff. 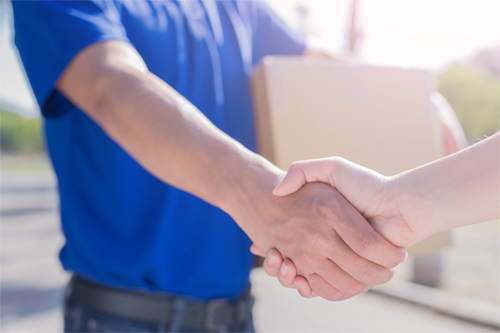 Through Santini’s network of partnered STI distribution centers (DC) strategically located throughout the country, we can provide you with a distribution solution for almost any type of product delivery scenario you might require. Our DCs are located in close proximity to major transportation routes and terminals to provide services ranging from consolidation, warehousing, packaging, decomposition and any other functions that might be required for handling your freight.